The Agents of S.H.I.E.L.D. Are Back to Save the World! Cast of "Marvel's Agents of SHIELD." "Marvel's Agents of S.H.I.E.L.D." premieres Tuesday, September 24, 2013 on ABC (September 27 2013 in the UK). It airs at 8 EST/7 Central. 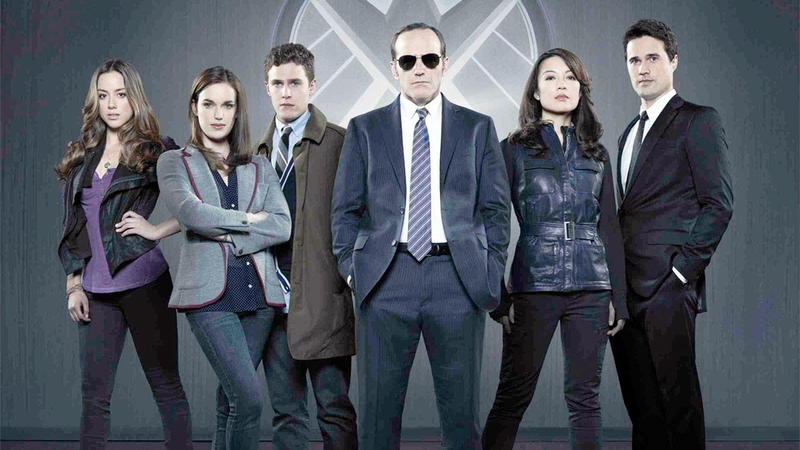 The show stars Clark Gregg as Phil Coulson, Ming-Na Wen as Melinda May, and Brett Dalton as Grant Ward. In case you were wondering, this follows the missions of the Strategic Homeland Intervention, Enforcement and Logistics Division ("S.H.I.E.L.D."). But you weren't wondering that, were you. UK fans naturally also are anxious to see this, and they won't have long to wait. "Agents of S.H.I.E.L.D." will air only 3 days after the US, on Channel 4, on Friday 27th September, at 8pm. Below is a UK trailer for "Agents of S.H.I.E.L.D." Labels: Agents of S.H.I.E.L.D., Agents of Shield, Brett Dalton, Clark Gregg, Grant Ward, Marvel's Agents of S.H.I.E.L.D., Melinda May, Ming-Na Wen, Phil Coulson, S.H.I.E.L.D.